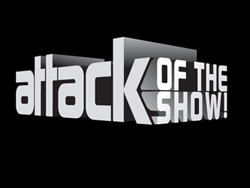 Matty Collector has confirmed that their products to be released at the SDCC will air on Attack of the Show on the G4 network April 12th and April 15th. So Adam and Orko, huh? Well, I knew Orko would get packed with someone (or something) but I always figured Adam would get a solo release like Adora did. I was kinda hoping Orko would come in a 2-pack with Cringer, who would be a new kitty sculpt and smaller than Battle Cat. i'm curious as to what adam's additional head sculpt looks like. too bad we don't have a close up of that. Kinda cool. Considering that Matty will not be offering these online and no one would pick any of these up for me if they were going its kinda of a "meh!" Plastic Man looks good, and the MOTUC ones are whimsical but I really won't care if I cant buy them. Oh and I guess we need to assume the Starro pack is a DCIH pack? Mo-Larr and Skeletor look great. I would assume that Adam and Orko will eventually be available at MattyCollector as single carded figures and/or repaints. I would like to think Mo-Larr and toothless Skeletor will turn up there too, but that may be a bit of a stretch. Either way, I need to get them somehow! I was thinking an Adam/Cringer 2-pack? See... Now I will have to be scouring ebay trying to get exclusives. I really only want the Starro set. But that one will be hard to get (specially once people notice Wonder Woman has new hip articulation. It looks like these items will be available on MattyCollector afterall with a few changes from the SDCC versions excluding Mo-Larr. Looks like he will be the same. 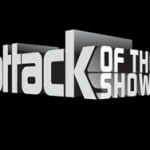 Part 1 of what will be a 2 part story on Mattel's SDCC exclusives just aired on G4's Attack of the Show. Big thanks to Blair and the whole AOTS crew who were a pleasure to work with. This box set will be $40.00 both at SDCC and on Mattycollector.com after the show (no change to product). Mo-Larr will come with all his tools including his #$^&@ drill and his floss. Skeletor features a new toothless face and comes with his Havok Staff, Power Sword and half Power Sword. The pack out is truly epic as designed by Ray Makowski. It includes Skeletor's massage chair and magazine collection as chip art. Also features brand new bios supplied by the gang at Robot Chicken! So here is the first of our SDCC items that will be different after the show. The version of Orko at SDCC will feature color change when you dip him in warm water. His magic book also show the SDCC logo in hot water. The version sold on MattyCollector.com after the show will not be color change (on Orko or the book) but both version will include his stand, wand and book as well as a pack in Prince Adam with two heads (He-Man and new Prince Adam smirk) as well as a purple Power Sword and half purple Power Sword. A lot of fans have asked "why Orko for SDCC?" Well, simple. We chose Orko because we wanted to go with a more 'A' list MOTU character who would draw in fans otherwise unfamiliar with the current line. In the past our SDCC items have been a bit more obscure in character selection so we deliberately went the other way this year. Also, since Orko was larger then a "standard" accessory we had no way to fit him into a monthly $20.00 figure structure. But by pairing him with Adam we could do a unique structure for a unique price ($25.00) at the show. One of the whole points of a SDCC item is to get PR for a line and to do an item that wouldn't fit into the standard line due to size, theme etc... This fit the bill in a lot of ways! Plasti comes with a ton of accessories and does everything plastic can do. He has standard arms, stretchy arms, snap on stretch parts like a fly swatter and paddle ball. He also has a snap on bendy neck piece and a spring snap on leg piece. And only at SDCC you can get Plastic Man as a suit case (similar to Gleek). you can even snap on his arms and head to the suitcase as if he has been "shopping at SDCC". Open the case up for an extra surprise. The grand daddy of our SDCC items for this year. This pack is a recreation of the classic Brave and the Bold cover and features light and sounds as well as the voice of Batman actor Kevin Conroy. Each figure in the set has a recorded description just like a museum display with Kevin describing the origin of each character. It is an incredible package designed by Frank Varela. We'll have more SDCC exclusives to reveal Thursday night and the whole list (including some not on the show) will be up on MattyCollector.com on Friday. what is up with the huge greeen lantern? is he one of the blackest night exclusives or what? actually from his paint job (the shiney green) he must be a blackest night one. Well, I'm glad Mattel is following Hasbro's lead by offering SDCC exclusives online after the event. Even if they are altered from the show version (which is only fair, really). Yeah, I wonder what they mean by "Prince Adam smirk". I hope they're able to do a proper Cringer someday, because that was a big disappointment for me as a kid. The only way I could have Adam and Cringer to do the transformation sequence was strip off Battle Cat's armor first. Then he just looked like a very pissed-off Cringer. that would have been really cool. dang....the sculptors kinda phoned that one in, huh? I hate to admit it but that Adam is pretty awesome. It is a DCIH set. Last time the DCIH stuff was offered online. Yes new hip but same old no elbow arms. So when is comic con exactly? I can't make it to the 'con, but I'd love to TRY and grab an exclusive from Matty's website.